Chase Swim Trunks Pizon by Carhartt WIP. 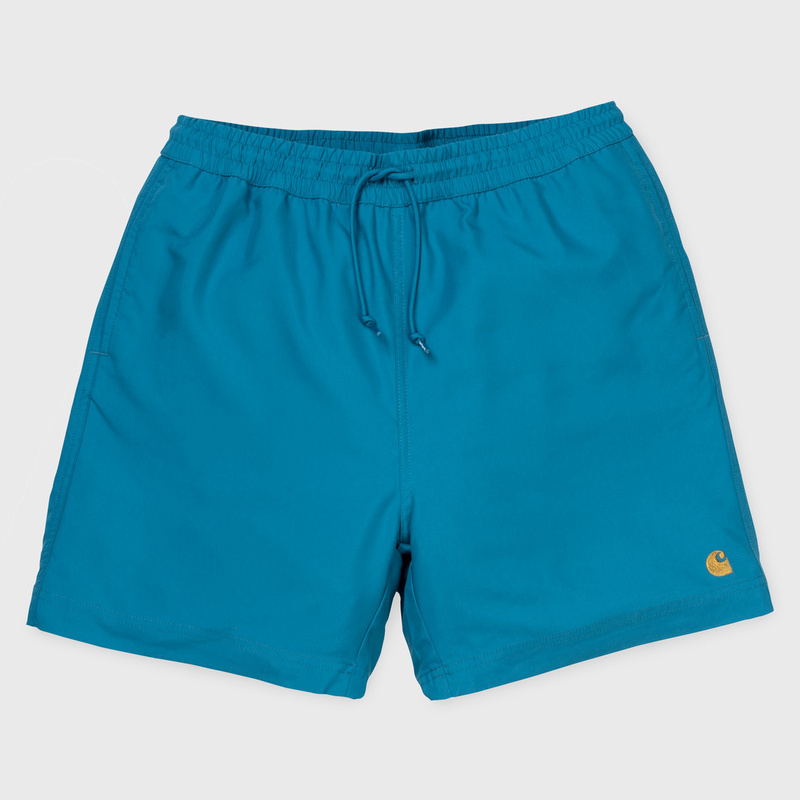 The water repellent shorts features an inner trunk and adjustable waistband. 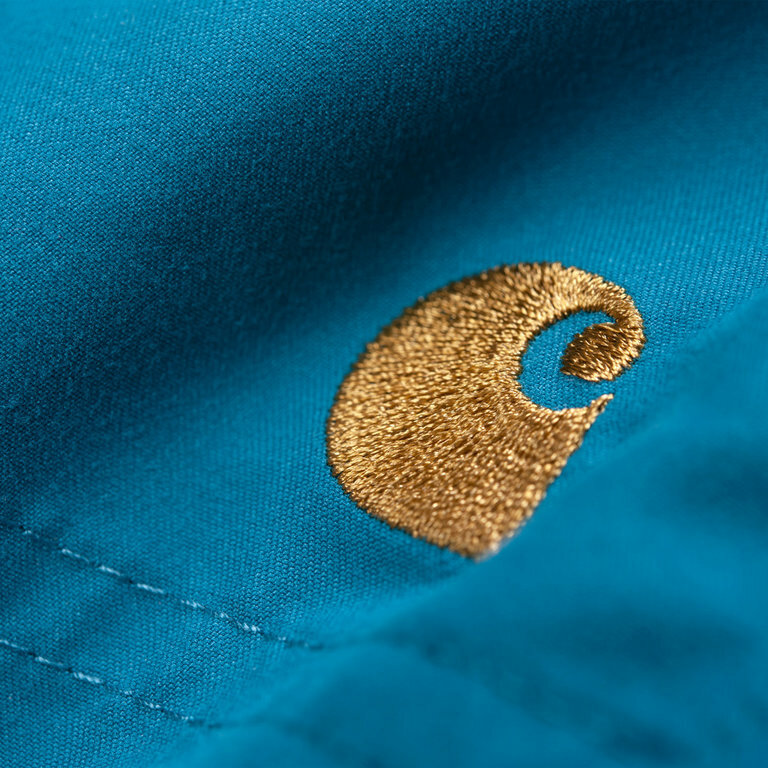 The Swim trunks comes with an adjustable waistband, side seam pockets and gold embroidery on the front.